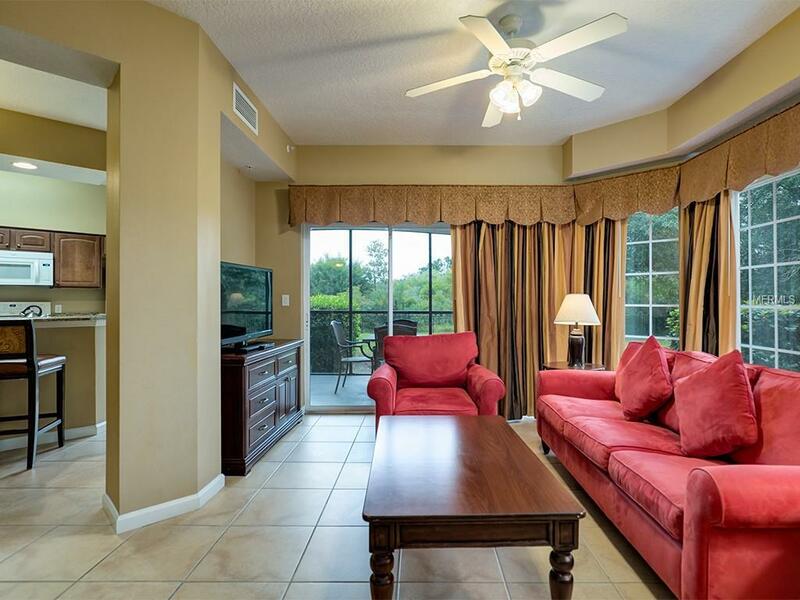 FULLY FURNISHED 1st floor, corner unit, 3/2 Luxury Condominium in world-renowned Worldquest Resort. Super open and usable layout with tile throughout living space. Fully equipped Kitchen with Granite Counter Tops, Upscale Decor, flat screen TV's throughout and all linens & silverware that you would expect in a high-quality resort. You even have your own washer and dryer. 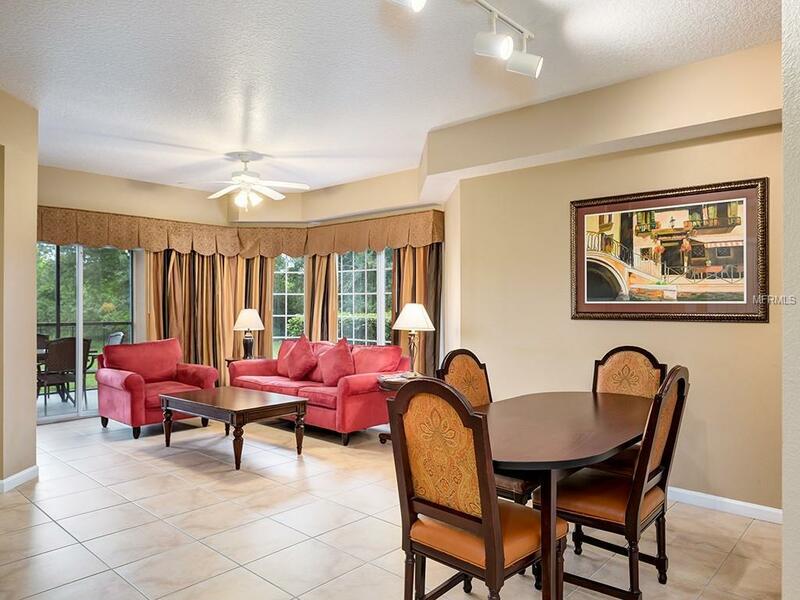 This property has a private balcony overlooking a pond and is located on the ground floor in the last phase of the resort near the community Pool & Spa. 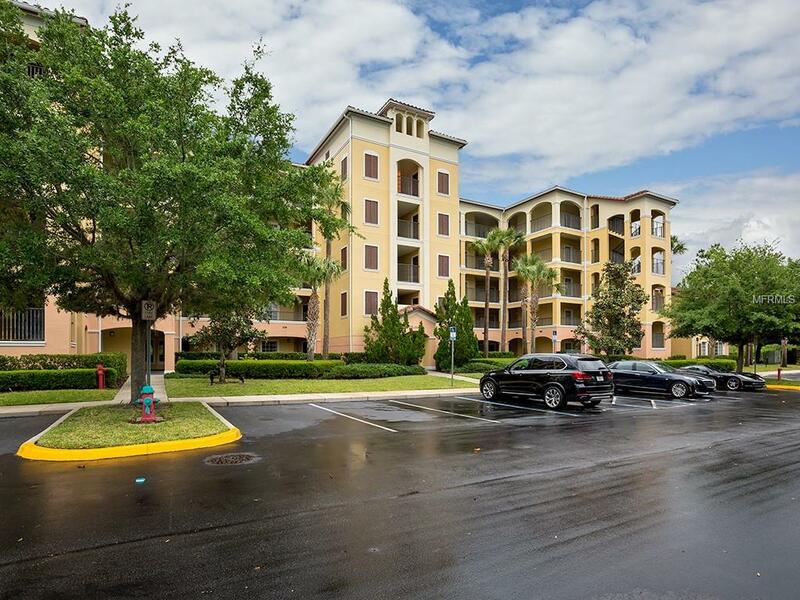 Worldquest Resort is Guard Gated with a waterfront Resort Style pool with a poolside Tiki Bar, hot tub, fitness center, on-site concierge, and features a complimentary Walt Disney World shuttle! The clubhouse offers you and your guests' on-site check-in, continental breakfast, a convenience store, business center, and wireless internet throughout the resort. The HOA dues cover Cable TV, Internet, Phone, Water, Sewer, Building Insurance, maintenance and use of all on-site amenities. 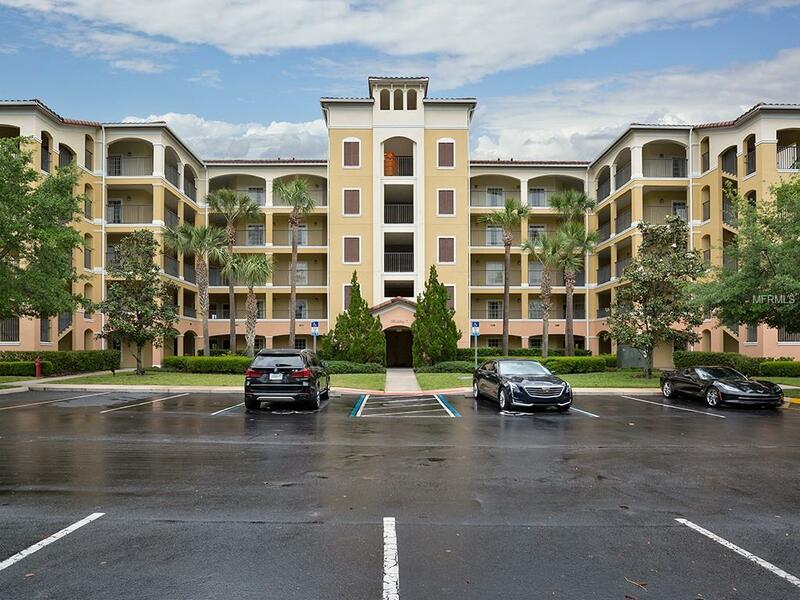 Conveniently located minutes from Walt Disney World, Universal Studios, shopping malls, restaurants, major highways, and just a short drive to Orlando International Airport. The perfect combination of investment and leisure use. Enjoy your vacation at Worldquest and when not on vacation rent it out through the 24 Hr On-Site property management. Three bedroom properties in this building rarely come to market - grab this opportunity! Additional Lease Restrictions Buyer's Responsibility To Confirm All Lease info Accurate With Hoa.